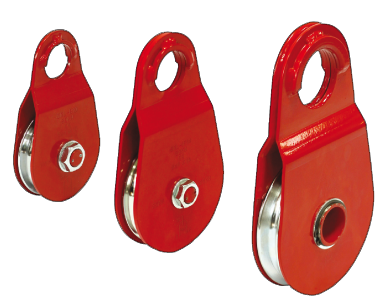 FORESTRY PULLEYS SRL-B10, SRL-IF14, SRL-IF16 with rotating side plates and a galvanized steel wheel with a bearing. An easy positioning of the rope. 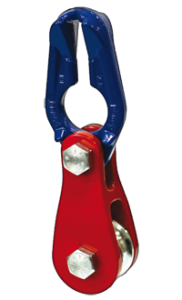 The rope fitted with a hook is automatically disengaged from the wheel when it comes into contact with the locking element. 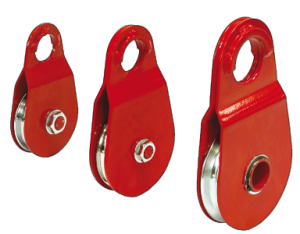 With SRL-A pulleys it’s possible to automatically change the pulling direction. 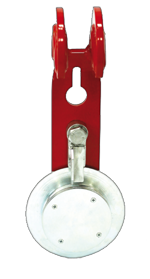 SRL-V PULLEY for changing direction by means of a quick-to-engage fitting. 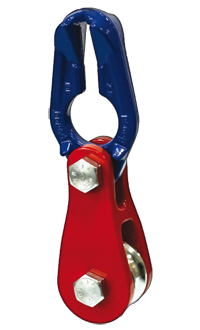 Suitable for pulling smaller loads along the ground.